Wayne Christian, a candidate for Texas railroad commissioner, frequently touts his energy expertise. But he did not know one of the agency’s key duties — regulating natural gas utilities — until a reporter told him. In his campaign for a seat on the Texas Railroad Commission, former state Rep. Wayne Christian says his 14-year legislative career made him an expert on energy issues. And the Republican laments that many people misunderstand the curiously named agency he wants to lead, which hasn't dealt with locomotives for more than a decade. “A lot of people don’t know what the Railroad Commission does – even folks in the Legislature,” he said in a recent interview. But even Christian, who formerly served on the House energy committee and previously ran for the Railroad Commission in 2014, didn't know one of the agency’s key duties — regulating natural gas utilities — until a reporter told him. Though some closely following the race suggested that the East Texan should know better, they weren’t entirely surprised that a candidate still had some learning to do about an agency that’s most widely known for regulating oil and gas production but has a long list of other chores. “I think anytime someone runs for this seat, they should recognize the fact that this is arguably the most technically complex job in all of Texas politics,” said Commissioner Ryan Sitton, who defeated Christian in the 2014 Republican runoff but has not endorsed anyone in this year’s race to replace Commissioner David Porter. “Often, candidates running for this spot don’t fully appreciate the degree” of the complexity involved, Sitton added. 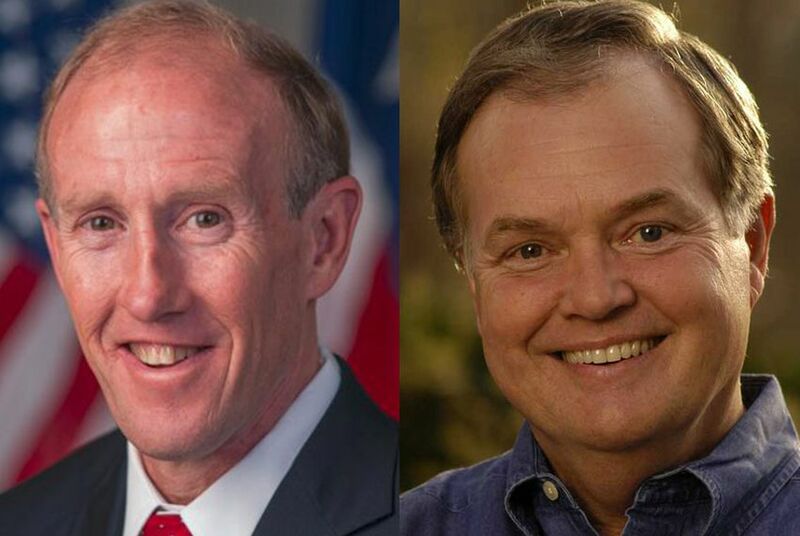 On the campaign trail, Christian has knocked his rival in a May 24 Republican primary runoff, real estate magnate Gary Gates, for his lack of policy experience. Gates has never held public office and failed in four earlier bids for the Texas Legislature. “My current intention is just run on the fact that he has absolutely zero experience in the legislature. Zero experience in any type of legislative process, or government,” Christian said. But when the Tribune asked about his philosophy on setting gas rates — a question it posed to all four remaining Republicans and Democrats — Christian initially suggested that those duties fell to the Public Utility Commission, which regulates electric, telecommunication, water and sewer utilities. Gates, asked the same question in a separate interview, appeared aware of the commission’s duties to regulate natural gas utilities. “I think I am very well equipped to understand the reasons — if a utility wants a fee increase” to build new pipes or fix aging ones, he said. “Through all of that, there has to be a rate of return" for the company. Both Christian and Gates have spent much of their campaigns calling for Texas to protect oil producers, who are struggling amid a plunge in prices. But the 125-year-old Railroad Commission regulates plenty of companies outside of the oil patch, such as pipeline operators, coal miners and uranium miners. It also oversees natural gas utilities, an enormously impactful part of the agency's duties that includes setting rates on gas delivered to millions of Texans who live outside of cities and deciding whether the monopoly companies need to recoup money for investments in new pipelines and other equipment. And when cities and utilities fail to agree on rates, the commission steps in to resolve those questions. Sometimes, several cities served by one utility will band together in protesting a rate increase. “That’s a very complex problem that is presented to us, making sure that we are setting rates effectively,” said Sitton. Sitton's fellow commissioner, Christi Craddick, declined to comment for this story. Porter did not respond to a request for comment. Democrats also have a runoff between the top two vote-getters from the March 1 primary: Grady Yarbrough, a retired school teacher who has lived in San Antonio and East Texas, and Cody Garrett, a former journalist and campaign director from the Austin area. Neither has held public office or has experience in the energy sector. A Democrat hasn’t sat on the commission in more than two decades. Yarbrough did not appear to understand the commission's ratemaking duties. “I’m in tune with market forces, whatever the market prices are. I’m not for the idea of putting a floor in there," he said, apparently talking about gas production rather than utilities. He then began to discuss controversial legislation from 2015 that curbed local control over oil and gas extraction. When asked again about utility ratemaking with more detail, he said: "If there needs to be some revision, I would be for it." Garrett was aware that the commission set natural gas rates. “I am on the record in calling for a moratorium on raising natural gas rates," he said, arguing that the current commissioners were too quick to approve hikes. But asked if he would allow utilities to raise rates in some circumstances — to fix equipment, for instance — he said yes, if the project was worthy. State Rep. Jim Keffer, chair of the House Committee on Natural Resources, called knowing the commission’s full duties a “prerequisite” for running for a seat. The agency’s actions on gas rates have stirred some recent controversies. In late 2014, the commissioners approved rules designed to streamline the process through which cities protest rate increases. Cities alleged the changes — which capped document requests and altered the allocation of attorneys’ fees — would only benefit utilities, because it would discourage protests. During the 2015 legislative session, Keffer pushed hard to reverse the new rules, but his efforts never gained traction. “That’s very near and dear to my heart,” he said of the issue. “I don’t think you should be able to put an obligation on a city that didn’t participate in a rate case,” he said.